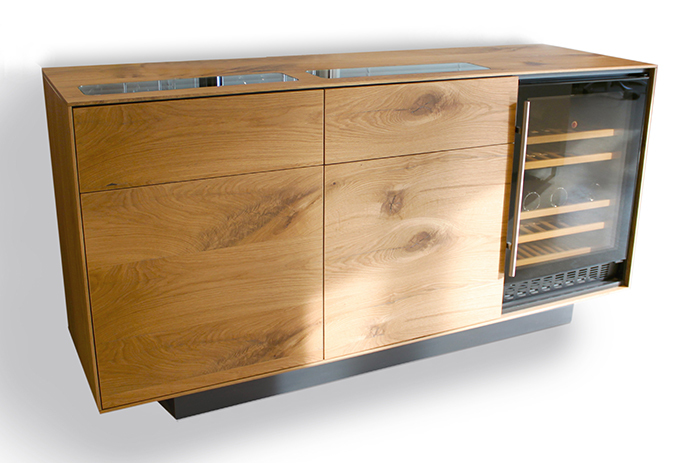 Esigo WINE CABINET WITH REFRIGERATED WINE CELLAR is a functional wooden SIDEBOARD WITH WINE RACK where you’ll store your wine bottles both at room temperature and refrigerated. 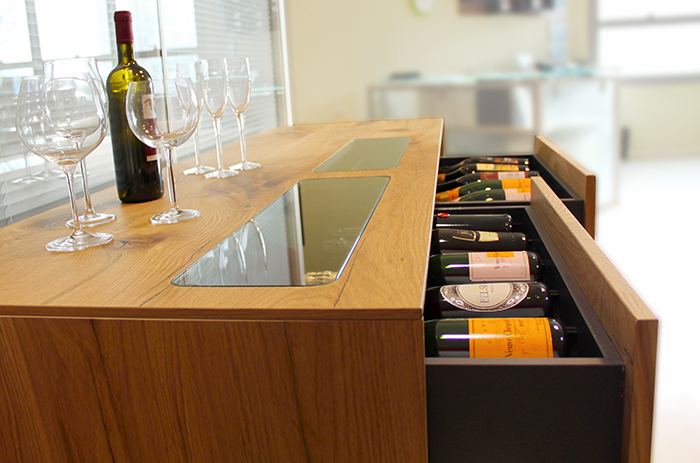 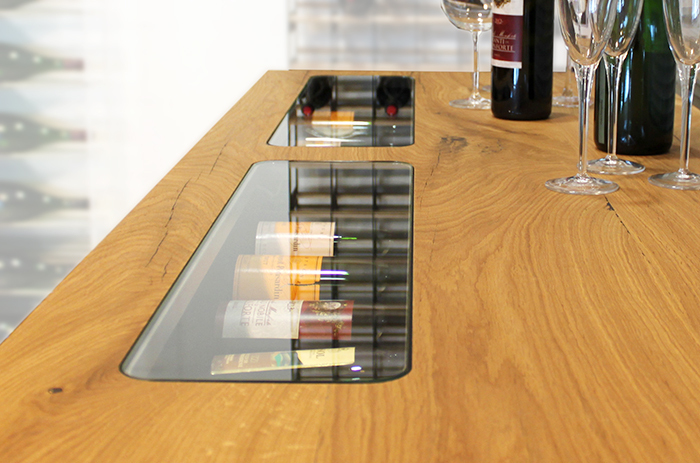 This modern CREDENZA WITH WINE RACKS is equipped with two pull-out drawers with glass windows on the top and two doors combined with a BUILT-IN REFRIGERATED WINE CELLAR. 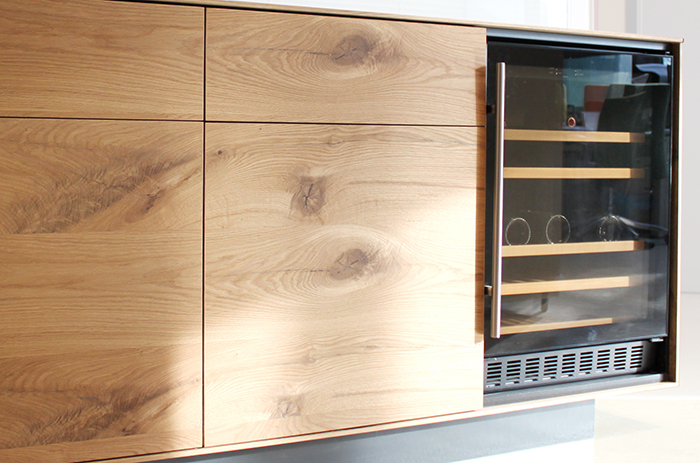 The BUILT IN REFRIGERATED WINE CELLAR can be supplied by Esigo, or you can tell us the dimensions of your refrigerated wine cellar and we can produce this BESPOKE WINE RACK CABINET as for your needs.